Flying is what time seems to be really good at these days. I’m sorry for the silence. This time we went to Brazil I decided that instead of frantically searching for wifi and taking hours to take photos, select edit and put together a post, I’d simply enjoy my vacation. I don’t really regret that decision. We arrived yesterday evening and I’ll be unpacking my bags and the memories wrapped inside. Hopefully these will be put on display here. I’m planning on starting with the easier posts first (photos) in order to get into the groove of things and end with the harder posts (written pieces + maybe the editorial photo-shoot. I got my dress for it fixed! ). 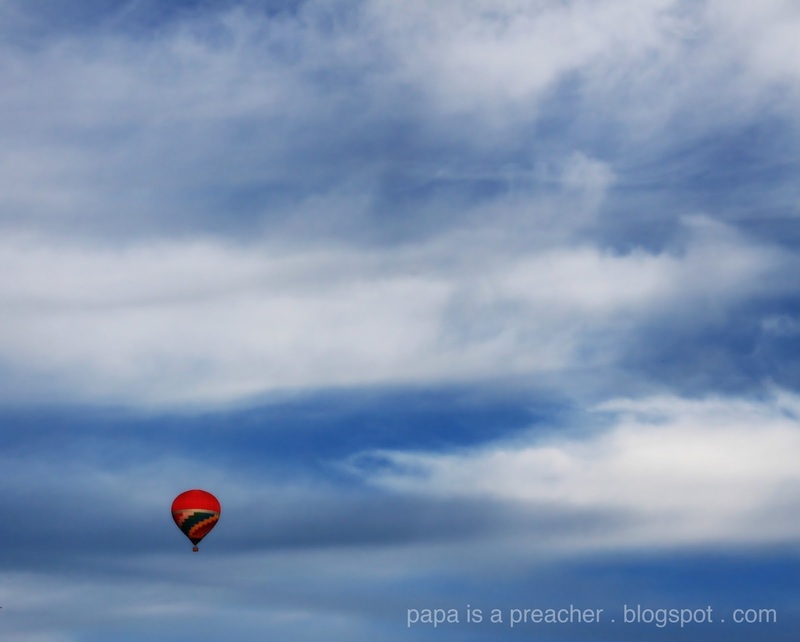 But if you’ve been around Papa is a Preacher for a while, you know things really almost never go according to plan. Still, hang in there with me, please. And thank you so much for being here now that I’m back. Balloon flying over Boituva, São Paulo, Brazil. August 2013. Previous Article A Sign of Life. Thanks Winnie! And I agree.. they are so important. Welcome home! And you definately made the right choice to spend time with your family instead of blogging about it. I could learn a lot from you. So glad you're back! I've been following the trip on instagram! Can't wait to see the posts! Enjoy the end of your summer, sweet girl!